If you are tired of indulging too much after the holidays and keen on going back to the fitter, healthier you – you’re in luck. Join AMWAY’s 4th staging of its Health Run happening on January 24 at the SM Mall of Asia Complex Grounds. The run-which has a 5k and 10k heat – also has schedules in Cagayan de Oro (February 14) and Davao City (February 21). The run is being hosted by Amway’s premiere vitamin and dietary supplement brand, Nutrilite. Called the annual Nutrilite Health Run, the run is a regional initiative by the company as part of its advocacy for wellness and healthy living. 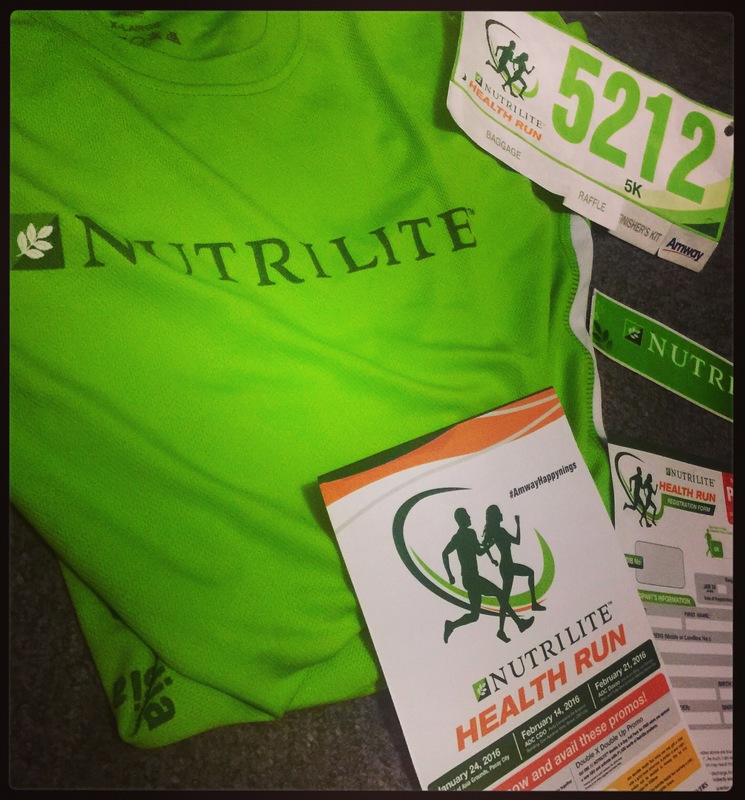 Registration is priced at PHP350 and comes with a free Nutrilite Health Run shirt, race bib and car sticker. Proceeds of the run will go to Amway One on One Campaign for Children. Registration is until February 21, 2016. Previous PostWedding Anniversary Staycation at Belmont and Nichols Airport HotelNext PostHello 2016!